You thought you had developed a great product. But your users are abandoning it because of its UI. They said they won’t use it even if it gives them a better ROI than your competitors. So your revenue started taking a hit. Involving other people in your company: They just made your product look like a committee designed it. Building every technically feasible idea from your users: That just cluttered up your UI even more. Hiring a designer: He didn’t understand your framework, didn’t address patently obvious edge cases, or fought hard for little things that are very difficult to implement. Redesigning screens on your own: That just left you staring at a blank screen, trying to decide what to build. Upgrading your UI libraries: Your product looked nicer, but it remained confusing. Even if you did a redesign, how do you know you won’t end up with the same result in 6 months or a year? Your next major release can start fixing these mistakes. You can develop a product that attracts your target audience, retains them, and has only the features that they really need. 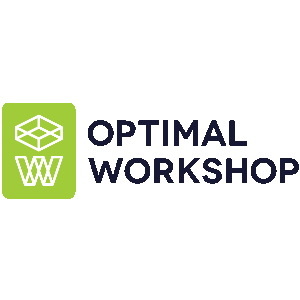 If you work with a designer, he can give you everything you need and address edge cases properly, without pushing hard to make you implement who knows what. You can escape design by committee and have a product that your users like. You can have a v1 that retains users and future versions that don’t send it off the rails. And all of this without having to hire a designer or become a designer yourself. Get 2 free chapters in your inbox now. My 100% Money-Back Guarantee: If you follow the book’s advice and are disappointed by the results, I’ll refund your money in full. "That's great, but we have some questions..."
UX for Development Shops (working title) helps independent developers, managers of developers, and owners of development agencies to create more effective products for their users without having to hire an expensive team of designers and researchers. You or your team work on user interfaces, but you tend to design them according to what makes the most sense to you. You occasionally run usability studies or accept feature requests from users, but you don’t have a system in place for understanding what your users really need. Designers or user researchers work with you on small, one-off projects, but you might have to hire them over and over to achieve sustained results. You’re not in its ideal audience if your company already has a full UX team or department, or if you just want to work on code and don’t care what users think. 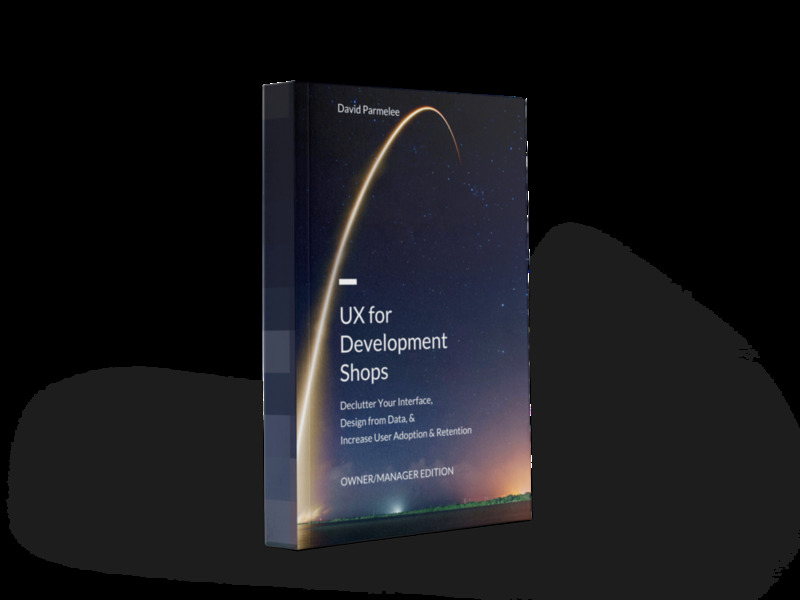 In the near future, I plan to release a Team Member Edition of this ebook, which will give more tactical advice to your team as they develop UIs. I believe in teaching people everything I'm learning that is relevant to them. And the two editions do have a lot of content in common. Similarly, as a business owner or manager, I assume that you're the one giving direction rather than doing low-level work. So your edition gets less of the tactical advice. Will this book just make me spend a lot of money to hire a bunch of people? It’s specifically designed so that, in many cases, you won’t have to. You may have to hire outside help if you really don’t have the time to implement this advice. But that being said, I have thought through a variety of team structures and budget needs. There is advice at the end on how to hire outside help or add on to your team. We use [development process name]. Is this ebook still for us? Generally so. This book’s advice aims to work well for most common development processes, especially agile ones. However, it keeps the advice as process-agnostic as possible because new variations of development processes constantly come on the scene. You’re a full-time consultant. Is this book just advertising your own process and services? There isn’t “one true” design or development process. One section of the book does expand on my peer-reviewed process for research and design, but it also describes what all good research and design processes have in common in case you work with someone else. Similarly, there is a section on how to be a good client when you hire outside help. It heavily cites other business consultants and other UX professionals rather than presenting my own opinions. You have an idea for a great new website or app, and you want to make sure that you don’t repeat mistakes from the past. Your users loved your products’ earlier releases. But as you’ve added features, it has gotten cluttered and difficult to use. Your potential users just can’t get past your product’s complexity. You need a different perspective on your interface, but you don’t know where to start. Metrics and analytics aren’t looking favorable because of a bad interface. You tried following UI guidelines better or switching to the latest UI controls, but it hasn’t worked. You’re sick of an approach to UI design that consists of committees giving their opinions. You want your product to treat its users the way they’d want to be treated. You want a strategy to conversion and growth that goes beyond changing button colors in an A/B test and hoping for the best. as soon as your next major or minor release? Then you should order this ebook. Not sure yet? You can get the first 2 chapters (with content from both editions) for free and lifetime updates on the ebook. So if you want to learn how to make more money developing products that your users want to buy, then please order. I promise that you’ll love this guide. And if you buy it and you don’t like it, I’ll refund your money. If this guide doesn’t help you or your team at all, then I don’t want your money. But I’m certain this guide will help you develop better products. Strategic guidance for owners of development shops, independent developers, and managers of developers. All orders are processed securely through Stripe, Apple Pay, or PayPal - your choice. And you get free updates for life. Tactical UI and UX advice for software, app, and web developers who work as individual contributors on teams. Team Licenses will include enough copies of each edition for you and your development team. Thank you! You'll have an announcement in your inbox when the edition for team members is ready. David Parmelee owns Thrill & Create, a business-minded user experience strategy and design consultancy located in the Washington, D.C., metro region. He specializes in digital strategy for small and mid-sized software, web, and app development agencies, including "agencies of one". David has a background in software and web development just like you. Previously, David worked in software development and testing in the financial, aerospace, and customer care industries. His previous companies include an IT consulting firm in the Fortune 500, a mid-sized aerospace company, and two small businesses. Since 2012, David has advised businesses on websites, mobile apps, and web applications for clients ranging from large global companies to county governments and new startups. He helps his clients define their products’ audiences and build the right products for the right people. David holds a Bachelor’s Degree in Computer Science from the University of Maryland, College Park. His writing has been published by Optimal Workshop and a well-established themed entertainment blog, and he is the author of an ebook, UX for Development Shops. If you have any questions about this ebook or about design for your users, please email me at info@amusementUX.com. I also run an email list which has an Ask Me Anything format; you can join it by downloading the first 2 chapters of the ebook or the 15-step guide to increasing user retention for your clients.